For any organisation targeting a Russian audience, knowing and understanding Yandex is key to success in the country. The homegrown search engine is the clear market leader in Russia, and is showing little sign of relinquishing any of this share to Google, or any other competitors. Eugene Lomize, Head of Advertising Technologies at Yandex will be speaking at the International Search Summit in both Seattle and London, where he will talk about the online market in Russia, as well as how organisations can use Yandex to get the most out of their campaigns. Here, Eugene answers a few questions on how the search engine maintains its strong position in one of the most exciting global internet markets. Yandex is still the clear market leader in Russia and showing no signs of losing any market share. Why is it so popular in Russia, and how does it retain its users? Russians have always been good at math and that helped us cultivate a one-of-a-kind style of programming and nurture a rich engineering environment in this country. This also was something that helped Russia join a small club of nations with a technologically competitive on a global scale search engine of their own. But, a world-class technology alone wouldn’t cut it. What is also important is to understand the users, their interests and the market. At the time when Yandex was launched what gave us the edge on the market was our knowledge of the Russian language morphology. This allowed us, among other things, to index and deliver many more documents than our competitors. Today, we also need to consider a number of other important factors such as a user’s location. This has become essential as each city in Russia differs from other cities considerably, having its own specific local content, maps, news, products, popular websites etc… As soon as we realized that, we concentrated our effort on localisation. Last year, we rolled out our new algorithm MatrixNet that allowed us fine-tune our page ranking and deliver search results depending on what city the user is in. Global players would struggle to do that as their targeting works on a country level. What was the reason behind Yandex’s decision to offer users results in English, and the Latin-alphabet? How have users responded to this? Yandex has been indexing foreign websites and adding global content to its search results for two years already. Web users in Russia look for, first and foremost, locally relevant information in their own language, with foreign websites being only an extension to the local search results. However, it may happen that the user wants to receive an answer specifically from a foreign website. This is the main reason why we offer our users an opportunity to limit their search specifically to foreign websites. We’ve been only experimenting and obtaining feedback so far. What we can say with certainty, though, is that now we can return an answer to each of the 15 million search queries in languages based on the Latin alphabet (12-15% of all queries on Yandex) that we receive every day and we do it well. 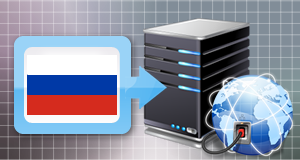 What are the major changes that have taken place in the Russian online market in the past year? And how have they impacted on advertisers and search marketers targeting the region? In the past year, the online market in Russia kept growing and absorbing budgets from offline advertising. Contextual advertising kept growing faster than the market for banner ads due to the influx of numerous clients with yearly budgets varying from a couple hundred dollars to millions. Having historically been the market mostly for hundreds of thousands of small players, search advertising has now been boosted by the emergence of some really large accounts, e.g. niche (auto, finance etc) brands, FMCG international companies and mass e-commerce sites. What is Yandex doing to keep up with these changes? We are constantly improving our products to suit the market demand. Since search advertising attracts clients with very different backgrounds, demands, budgets and levels of competence, we have to provide them with various tools to meet their requirements. We launched a very simple and very intuitive interface (with a lot of intelligence inside the system) for the industry newbies (those with very little or no experience in search advertising). In addition, we keep developing and upgrading our advanced campaign management tools for our largest clients who run campaigns with hundreds of thousands of keywords. As a part of this, we released an API for integration with the search аds management systems like Omniture. If you could give one tip to anyone targeting the Russian market through search, what would it be? Keep in mind that Russia is different. It’s a special country where a local search engine, Yandex, serves 64% of all search queries and Google has to deal with only 21%. It also has a specific language and culture – and this is something that does matter. Going the easy way and giving literal translation to your keywords and ads to ‘localise’ them does not work. One has to re-develop every ad to make it sound Russian, and re-define keywords according to the local cultural habits. That’s why it’s so important that advertising campaigns in Russia are designed and supported by the locals, advertising professionals whose mother tongue is Russian. 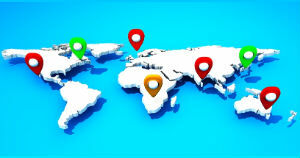 To understand what it takes to make their search marketing truly international. The online world is global and has no borders, but there are so many nuances that are essential for success. Details on how to book for Seattle and London, as well as full event agendas are available at www.internationalsearchsummit.com.